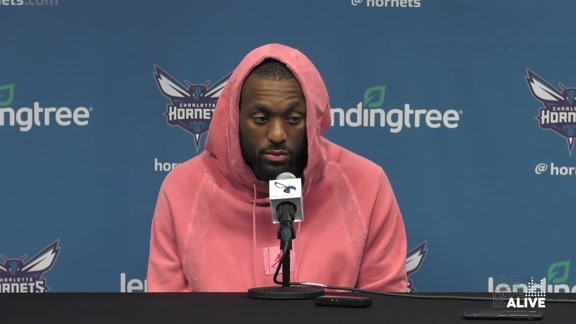 January 24, 2019 – The NBA announced today that Charlotte Hornets guard Kemba Walker has been voted by fans, media and players as a starter for the Eastern Conference in the 2019 NBA All-Star Game, which will be held on Sunday, February 17, at Charlotte’s Spectrum Center. It marks Walker’s third consecutive NBA All-Star selection and his first as a starter. 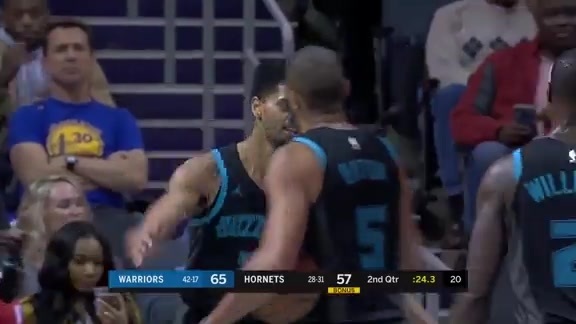 Walker joins Glen Rice as the only players to represent Charlotte in three All-Star Games and becomes the third Hornets player to start an All-Star Game, along with Larry Johnson (1993) and Eddie Jones (2000). Currently in his eighth season, the 28-year-old Walker is averaging a career-high 25.0 points, 5.7 assists, 4.2 rebounds and 1.3 steals per game. He ranks fifth in the Eastern Conference in scoring and first among guards. Walker, who is averaging a career-best 3.2 three-point field goals per game, ranks first in the Eastern Conference in three-point field goals (152), fourth in field goals (409) and sixth in free throws (204). Walker leads the NBA in clutch time scoring, averaging 5.9 points in clutch time per game. He is averaging an Eastern Conference-best 8.1 points in the fourth quarter, which is tied with Houston’s James Harden for second in the league behind only the Lakers’ LeBron James, and has made a league-high 44 fourth-quarter three-point field goals on the season. With his current totals of 1,174 points, 266 assists, 199 rebounds, 152 three-point field goals and 60 steals, Walker is one of only two players in the NBA to have totaled over 1,000 points, 250 assists, 150 rebounds, 150 three-point field goals and 50 steals already this season, along with Houston’s Harden. Originally selected by Charlotte with the ninth overall pick of the 2011 NBA Draft, the Connecticut product has tallied 20 points or more in 35 of his 47 games played this season, extending his franchise record to 272 career 20-point games. He reached 11,000 career points earlier this season, becoming the first player in Hornets history to do so and the second player from the 2011 NBA Draft class to reach the milestone, following Golden State’s Klay Thompson. Walker scored a franchise-record and career-high 60 points against Philadelphia on November 17, joining Allen Iverson as the only two players 6-1 or shorter to score 60 points in a game in NBA history. He followed that with a 43-point outing against Boston on November 19 to become just the sixth player ever to score 60-plus points in one game and 40-plus points in the next game. Walker is only the seventh player to represent Charlotte in the NBA All-Star Game. The other previous All-Stars were Larry Johnson (1993 and 1995), Alonzo Mourning (1994 and 1995), Glen Rice (1996, 1997 and 1998), Eddie Jones (2000), Baron Davis (2002) and Gerald Wallace (2010). The 68th NBA All-Star Game will be played on February 17 at Spectrum Center, returning to Charlotte for the first time since 1991. Spectrum Center will also host MTN DEW ICE Rising Stars on Friday, February 15, and State Farm All-Star Saturday Night on Saturday, February 16. The NBA All-Star Celebrity Game presented by Ruffles and NBA All-Star Practice & Media Day will take place at Bojangles’ Coliseum. For the latest information about NBA All-Star Weekend, including a full schedule, visit NBAEvents.com.